A few years ago, I needed a new general purpose username. I wanted something shortish which wasn’t based on my real name. It had to be a little piece of lexical real estate which nobody else already had claim to. And no suffixed numbers either. I was feeling patriotic and zoological at the time. “Quoll” appealed because it is only five letters long. Quolls are a genus of white-spotted cat-sized predatory marsupial found in Australia and New Guinea. As Australian animals go, they’re almost unknown compared to koalas and wombats and kangaroos. All four species of Australian quoll face habitat loss, introduced predators and changed fire regimes, and all have gone extinct in their former ranges to at least some degree. 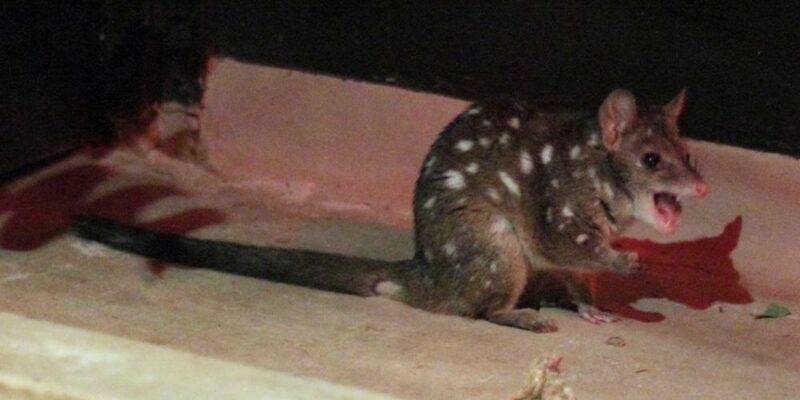 Spreading the word about quolls felt right. People can’t care whether something goes extinct or not if they don’t even know it exists. To make a unique username, I added -ism to the end. So that’s what’s with “quollism”.